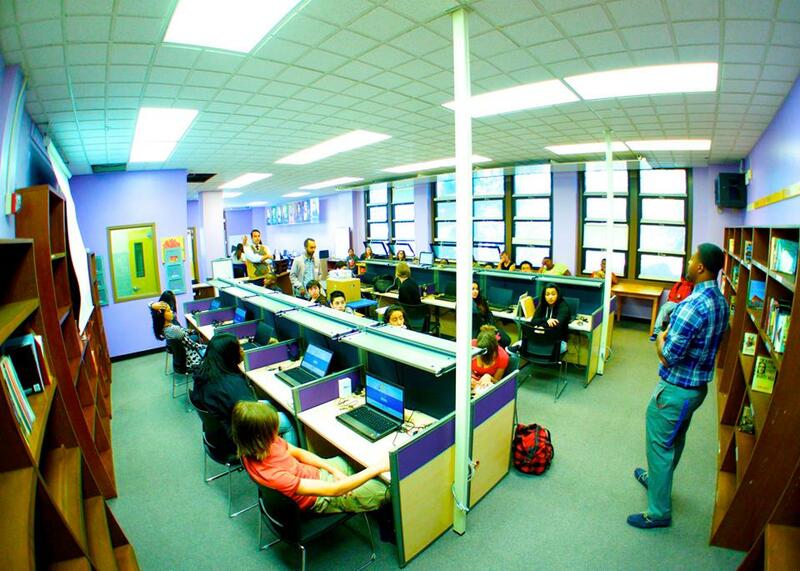 San Francisco Flex Academy is a coeducational public charter school for students in grades 9 through 12. SF Flex is a full-time, tuition-free, public charter school, serving students in grades 9-12 from anywhere in the Bay Area. SF Flex blends the best of a rigorous, college-preparatory, comprehensive high school environment with on-line curriculum. Students attend school every day in a safe, diverse, and supportive school community that includes a dedicated computer work station for every student, textbooks, novels, math manipulatives, science equipment, art supplies, and more. 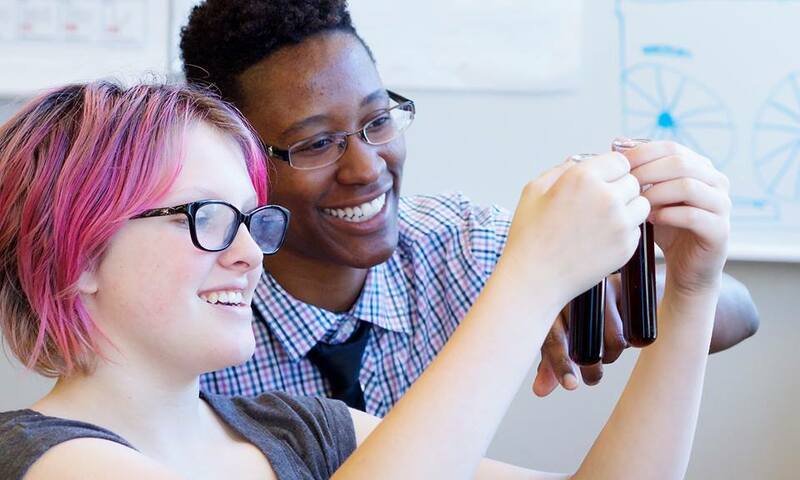 With the largest choice of electives of any school in the San Francisco Bay Area, SF Flex puts students in the driver’s seat by allowing them to choose from an array of courses so they can explore and develop their interests. Teachers at SF Flex are highly qualified and specially trained to use data generated from the award winning, standards based K12 Inc. curriculum to tailor instruction for individual students, target skill development, and build subject matter mastery. Classes are small, typically between 5 and 12 students. SF Flex provides engaging and personalized learning that maximizes each student's full potential. Our program creates an education that fits the individual student so those who need more time and support in certain subjects can get it, and those who are ready to move ahead can do so at their own pace. Most of all, students at SF Flex learn how to learn. Please contact us to learn more about this unique learning community and arrange a time to come for a tour. We look forward to hearing from you! SF Flex uses the K¹² high school curriculum, which blends the best features of the company's patented learning environment with on-site instruction directed by California certified teachers. The K¹² High School Course Catalog is robust, offering an extensive portfolio of core and elective courses. Core courses, including History, Mathematics, Science and English, are modified and taught by on-site teachers using a variety of resources in addition to the K¹² curriculum. Core course also include Honors and AP choices. The mission of SF Flex Academy is to prepare graduates for college, life-wide learning, career success, and active citizenship in a diverse society. Graduates of SF Flex Academy are professional, committed to success, determined to achieve, empowered to take control of their lives, and active citizens. San Francisco Flex Academy's relatively even enrollment profile may offer insights into student retention rates, local population changes, real estate costs, and the accessibility of alternative educational options. to find out more about the specific factors influencing San Francisco Flex Academy's enrollment numbers. 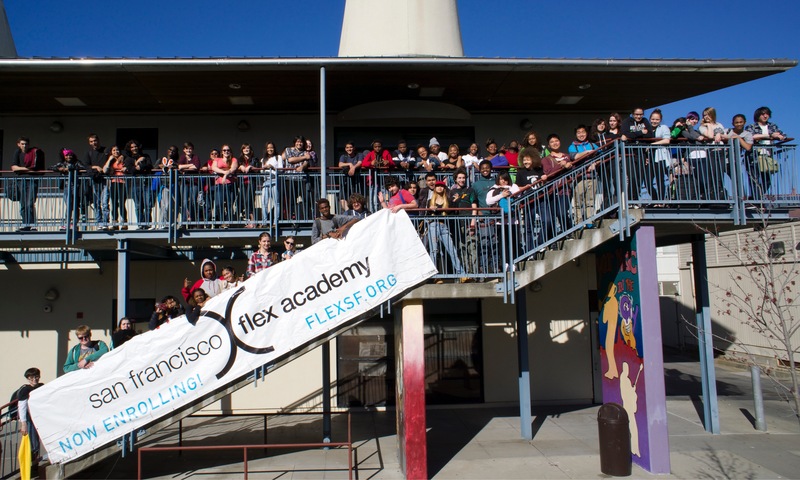 44% of students qualify for a free or reduced price school lunch at San Francisco Flex Academy. CIF Sports Fall Sports Mens soccer Womens volleyball Winter Sports Mens Basketball Womens Basketball Clubs This Quarters Clubs Gay Straight Alliance Tango Volleyball Yoga Drama Club Anime Science Club Last Quarters Clubs (See Video below) Tango Volleyball Flag Football Girls Wellness Craft Media Past Clubs Yearbook Club This is a student led & student designed Yearbook with collaboration of the organization Treering. Students have annual formal photos taken and photos from school events are used to create a memory of the year. We meet on Thursdays during enrichment time. Newpaper Club The Flex Street Post is a student led, student written, student produced school newspaper. We meet every full week Wednesday during 5-6 periods in the library. The newspaper is published every month. Book Club Every month students decide which book will be our focus and at the end of the moth we discuss that book. Every week we meet on Thursdays at lunch in the library and discuss what we are currently meeting and as mentioned above at the end of the month we discuss one particular book. Prom & Senior Planning Committee There are three big events to plan for upperclassmen, prom, grad night & graduation. Students meet every week Tuesday during lunch in the library to figure out fundraising, planning and design for these events. Tango Club Argentine Tango has been scientifically proven, more so than any other dances, to open critical neuropathways in the human brain that assist in higher coginitive functioning. 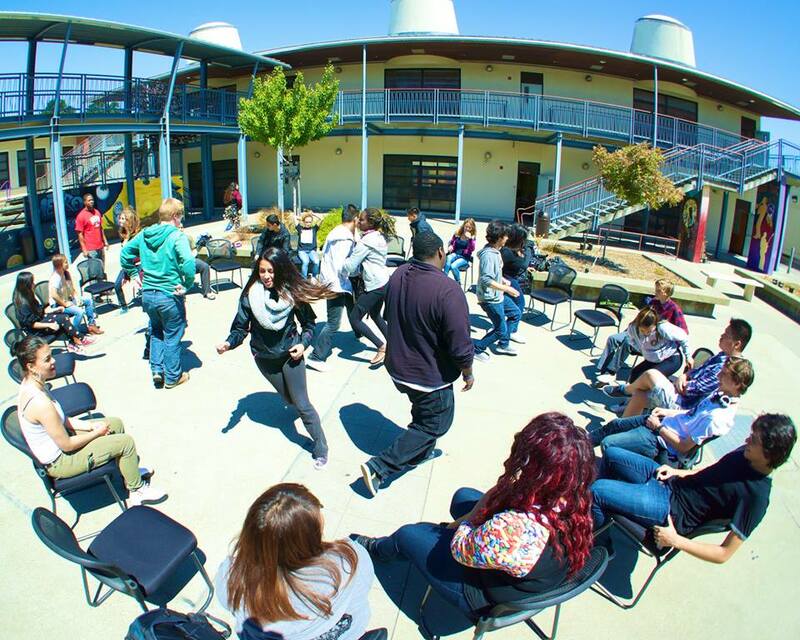 Tango club meets during Enrichment time and after-school Tuesdays and Thursdays. Movie Club The movie club is a place where students can come together and watch movies of their choice, eat popcorn, and socialize with their peers. Every movie we watch is voted for by the students and we will be watching both educational movies and classics alike! Movie club meets during Enrichment time. Running Club Running Club welcomes all students at all fitness levels. We walk/run in different neighborhoods of San Francisco, including Union Square, North Beach, Nob Hill, and Embarcadero. It is a great way to get fit and have fun at the same time! Strategy Game Club Strategy game club here at SF Flex is a fun and exciting way to challenge your brain to a new way of thinking. We play all sorts of games from card games, to economic games, and even brain puzzles. So come and join us every Thursday 2:36pm to 4:30pm if you would like a challenge and want to have some fun! 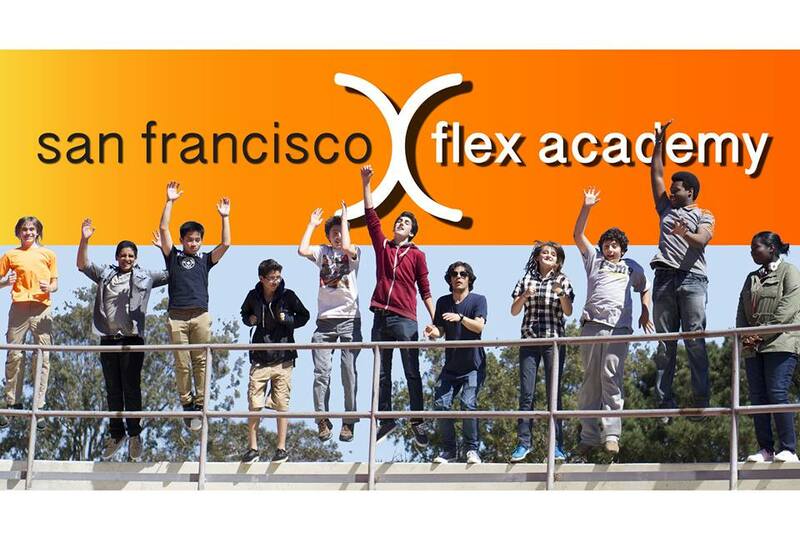 Want more info about San Francisco Flex Academy? Get free advice from education experts and Noodle community members.